Acetylcholine is one of the most abundant neurotransmitters in the human body, often abbreviated ACh. It is in found in both the central nervous system (CNS) and the peripheral nervous system (PNS). It is one of the body's most important neurotransmitters, which are chemicals used to transmit signals from one cell to another. The name acetylcholine is derived from its structure. It is a chemical compound made up of acetic acid and choline. Cholinergic synapses are those in which transmission is mediated by acetylcholine. Why is acetylcholine so important in the body? It serves a number of critical functions, many of which can be impaired by diseases or drugs that influence the function of this neurotransmitter. Acetylcholine can be found in all motor neurons, where it stimulates muscles to contract. From the movements of the stomach and heart to the blink of an eyelash, all of the body's movements involve the actions of this important neurotransmitter. It is also found in many brain neurons and plays an important role in mental processes such as memory and cognition. Severe depletion of acetylcholine is associated with Alzheimer's disease. 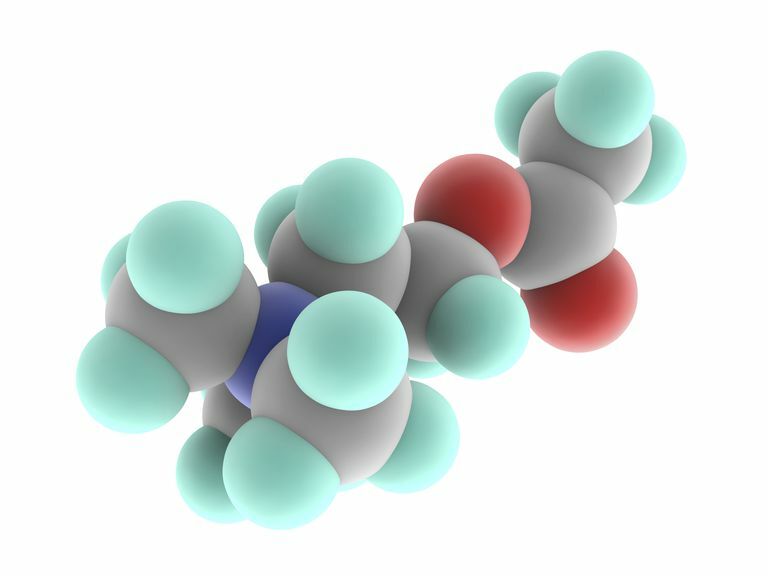 Acetylcholine is not only the most common chemical messenger, but it was also the very first neurotransmitter to be identified. It was discovered by Henry Hallett Dale in 1914, and its existence was later confirmed by Otto Loewi. Both individuals were awarded the Nobel Prize in Physiology/Medicine in 1936 for their discovery. In the peripheral nervous system, this neurotransmitter is a major part of the autonomic nervous system and works to activate muscles. Within this system, it plays an excitatory role leading to the activation of muscles. Within the autonomic system, acetylcholine controls a number of functions by acting on preganglionic neurons in the ​sympathetic and parasympathetic systems. Because acetylcholine plays an important role in muscle actions, drugs that influence this neurotransmitter can cause various degrees of movement disruption or even paralysis. In the peripheral nervous system, acetylcholine is the neurotransmitter that transmits signals between motor nerves and skeletal muscles. It acts at neuromuscular junctions and allows motor neurons to activate muscle action. One of the primary functions of acetylcholine is to carry signals from motor neurons to the body's skeletal muscles. For example, the brain might send out a signal to move the right arm. The signal is carried by nerve fibers to the neuromuscular junctions. The signal is transmitted across this junction by the acetylcholine neurotransmitter, triggering the desired response in those specific muscles. Acetylcholine also acts at various sites within the central nervous system where it plays an inhibitory role. In the CNS, acetylcholine modulates between various neurons in areas of the brain that control motivation, arousal, and attention. Critical cholinergic pathway deterioration in the CNS has been associated with the onset of Alzheimer's disease. In the brain, acetylcholine acts as a neuromodulator. Rather than engaging in direct synaptic transmission between specific neurons, neuromodulators act on a variety of neurons throughout the nervous system. Also in the CNS, acetylcholine acts as part of a neurotransmitter system and plays a role in attention and arousal. Drugs and substances that interrupt acetylcholine function can have negative effects on the body and can even lead to death. Examples of such substances include some types of pesticides and nerve gasses. The venom of a black widow spider acts by causeing the release of acelylcholine. When a person is bitten by a black widow, their acetylcholine levels rise dramatically, leading to severe muscle contractions, spasms, paralysis, and even death. Acetylcholine is a critical neurotransmitter that plays an important role in normal function of the brain and body. Disruptions in the release and function of this neurotransmitter can result in significant problems in areas such as memory and movement. Learn more about how neurotransmitters send, amplify, and modulate signals throughout various areas of the body as well as how deficiencies in these chemical messengers are associated with certain diseases. Purves, D., Augustine, G.J., & Fitzpatrick, D., et al., Eds. ​Neuroscience. Fifth Edition. Sunderland, MA: Sinauer Associates. 2012. Siegal A. & Sapru H.N​. Essential Neuroscience. Third Edition. Philadelphia: Lippincott, Williams & Wilkins. 2014. Thompson, R.F. The Brain: A Neuroscience Primer. New York: Worth Publishers. 2000.